Join the newsletter for up-to-date information! 2019-20 Event Calendar Coming Soon! How to use integrative methods to release the memories and remnants of trauma. Trauma is about more than the mind, the entire body can integrate into a map of trauma that cannot be released by talking about it. Through somatic therapies, mind work and shamanic drumming experience a new fabric of yourself and find your inner being beyond the trauma. This course is a first step to reclaiming your Self and understanding trauma in those you love and those around you. In the world today, understanding trauma can help us everyday to become compassionate and empowered individuals who bring their light to the world. I look forward to leading this empowering workshop. This workshop is full, please contact us for future workshops in 2019. 2-day event, learn how homeopathy can be integrated with standard medicine to heal and empower the immune system in immune-compromised patients. Contact us for details. Course registration limited to MD, DO and Chiropractic Professionals. Learn how basic homeopathy can be used to reduce/ eliminate infection, clear inflammation, heal nerve aggravation and more in this illuminating course to offer dental professionals new and valuable options in healing and empowerment in dentistry. Contact us to register, currently registration limited to dental professionals. I'm currently working out the scheduling for the next teleclass. Dates TBD shortly. A holistic view of PTSD and options for healing the layers of trauma. For those interested who cannot make the class, I'll be offering power visioning/ manifesting sessions in January and throughout the year. Contact us for details. One of the things I like about the man-made holiday Valentine's day is it's focus on LOVE. I personally believe the holiday should be expanded to include all forms of love. In this workshop we are going to focus on what unconditional love is, for ourselves, for others, for our world and for the energy of everything. We are going to practice tapping into love for healing and expanding our hearts and minds. While a focus will be self-love, we will see how when we accept and love ourselves, we can easily access the feeling of love for others. Give yourself the gift of love this Valentine's day, you deserve it! I may hold a second course later this year, please contact me with your interest. Let's explore hormones from a new perspective. This course will explore our hormone system (no medical experience required) from a healthier viewpoint. You will gain a better understanding of what your hormones do for you, how they communicate with you and options for healing, balancing and enjoying the ride. Self-acupressure, breathing exercises, nutritional options and more will be offered and this will be a personalized class meaning questions will be discussed too as I feel personal stories are very helpful in learning about our bodies and our options. Often when in the midst of hormonal upheaval we forget we aren't alone in this. Shamanism has become a very common word nowadays and when something is popularized, it's common to lose the power of the practices in the translation to a mass market. 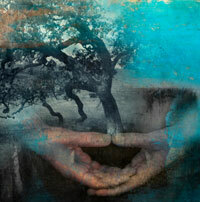 Join me in an exploration of what it means to practice shamanic practices. You will explore and begin to understand the basis of shamanism as well as experiencing the shamanic journey, and gaining an understanding of animal medicine, soul retrieval, psychic surgery and more. As a shaman with experiences under peruvian, ecuadorian, celtic, european and american teachers, I'll offer a thorough overview and foundation for those new to shamanism and those who have practiced for years and feel ready to deepen their practice. All called to the path are welcome. NOTE: for those interested in one on one instruction, this is available on a limited basis. Contact us for details. FOR THOSE INTERESTED IN TAKING THIS COURSE AT A FUTURE DATE, PLEASE CONTACT US AND WE WILL LET YOU KNOW WHEN THIS COURSE IS SCHEDULED AGAIN. IN THE INTERIM, PLEASE SEE OUR COURSES ON CD. It's time to learn how to hold your boundaries. Boundaries are more than energetic, they are psychic, spiritual, emotional, physical and mental. 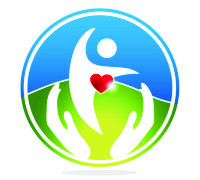 Over the past 30 years I've been working with boundaries and taught individuals practices for holding healthy boundaries in various situations. I've decided to begin teaching the deeper work as I feel it's needed nowadays as people are becoming more and more energetic and affected by the energies around them. This class will offer and overview of what boundaries are, what affects boundaries, how we learn to hold our boundaries and a self-exploration of your boundaries. There will also be opportunities to see how your inner child learned to release boundaries with pleasing behaviors and shutting down. You will learn tools for exploring, rejuvenating and shielding in healing and empowering ways. This is the first of several workshops I'll be teaching over the next few years. A great basis for additional work as well as for beginning to hold yourself and your power in more empowering and energizing ways. For those who have taken boundaries classes in the past, please note this is a new curriculum with new practices and tools. It is time for people to understand sensitivity and see it in a new light. When we hear the word sensitive, it's often thought of as a weakness. That is a choice, not a truth. The Living Sensitive Courses are empowerment courses for individuals living with any form of sensitivity be it emotional, physical, energetic, ethereal, chemical, etc. I also hold courses for those supporting sensitives to learn about what sensitivity is and how to stay healthy while supporting your sensitive loved ones. This course is for anyone wishing to learn what living sensitive is and the different forms and manifestations of sensitivities. We will then explore what causes sensitivities (on physical, energetic and emotional levels), and how to live healthy, empowered lives embracing your full self and learning how sensitivities can teach us to live more fully. Often people with sensitivities are misunderstood because they don't seem to fall into the 'sensitivity norms' and are told it's in their head or there is nothing standard medicine can do to help them understand their sensitivities. This can be disempowering. What we need to understand is just because a doctor (or a healer) has no tools for something, doesn't mean there aren't tools, it simply means the particular person isn't the correct resource (a life tool in general really). I created my Living Sensitive courses to empower individuals and their loved ones with proven and valuable resources for living their best lives and seeing their sensitivities as the gifts they can be. For more on my Living Sensitive courses, see this link. THIS COURSE IS FULL, I WILL BE TEACHING IT AGAIN IN THE NEW YEAR, CONTACT ME FOR INFORMATION ON JOINING US. As healers, we are all seeing how quickly our world is changing at the energetic level. Some of it is supporting us, some is taxing our DNA. As a homeopathic healer, the past 10 years have been a great learning for me in treating the effects of EMF, chronic ailments like Lyme disease and MCS, and assisting those with increasing reactivity's to foods, chemicals, energies and people. One thing I've learned more than ever is the unity of the energies that flow in and around all of us. I've watched those energies that connect us all striving for balance. I've witnessed the vital force struggling in ways I've never seen before and I know, deeply, that homeopathic medicine is a key tool in balancing the sacred energy that drives us all. This course will take a deep, integrative, spiritual view of how our vital forces are mirroring that which is out of balance in our world and how to bring us and our world back into a natural flow for now and as our world continues to make choices that influence that which many cannot see. We will explore physical allergies/ reactivity at the cellular and energetic levels as well as what I term 'emotional and spiritual allergies' which drive us at a different level in our relationships to one another and our world. We will gain an understanding of how to treat a universally reactive client (reactive to chemicals, foods, people, EMF, etc.) and how to map the emotional state (PTSD, compulsions, depression, etc.) with the physical to gain a new perspective of how to unwind the weakened vital force gently, gracefully and with respect for every level of the human experience. In a world where reactivity is often seen as weakness, we as homeopaths have the opportunity to see it as a strength. The reactivity is a protective part of the individual, and as we respect it's knowledge, we get to do what we do best, learn from the unique experience of the individual and map the treatment plan to them personally. This course will teach you how to do this successfully. ***I'm honored to be hosted by Andrea Martin in Madrid, Spain. If you are interested in joining this course, or that of Dr. Juan Marquez who will be co-leading on the last day and following my course, please contact us. NOTE: This class will be taught in English with translation available. I will be teaching courses including a homeopathic training full-day workshop for dentists and doctors in NYC in the west village, contact us for details, space limited. Courses for clients/ students with registration options will be posted late summer after my client schedule is confirmed. All current clients will receive emails prior to my trip to the East Coast and have first call on sessions. If you are a new client wishing to be placed on the waitlist, please contact us. I'm currently working on my 2016 calendar, feel free to contact me with requests and if I teach a class based on your recommendation, you get 10% off! Pricing, housing and exact dates are being determined, contact us with your interest and check back for more details coming shortly. Since 1996 I've been leading personal journeys and group retreats in the vortexes of Sedona, AZ. As many of my clients know I have a very personal relationship with these vortexes. Some of my training in Peruvian and Ecuadorian Shamanism was with shamans sitting at these sites. I also have created homeopathics from the earth at these sites. 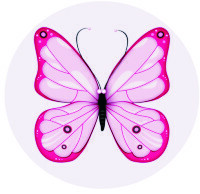 At certain times in certain years the vortexes go through transitions and build energies in certain ways that are most healing and opening for women to sit with. 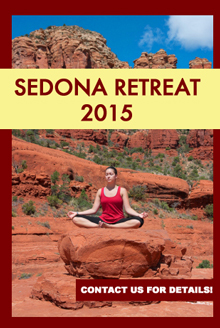 It's been a few years since I've felt the energy was right for me to lead retreats in Sedona. I feel this year is a good year to tap into the energy of these vortexes for healing and learning about earth energies. The Women's Retreat will be a combination of energy healing, shamanic practices, personal empowerment and visioning work, gentle hiking (for those seeking more strenuous hiking that can be arranged) and yoga, meditation and healthy foods for balancing during the retreat. For those seeking personal work this may be available as well, contact us for options. Trauma Release MethodTM Courses and Trainings Begin. Find out more about TRM here. Join us as we explore the topic of vaccines from a holistic perspective. Vaccines are a big topic in alternative medicine. As a homeopath, nutritional consultant and healer, I have assisted clients for years on the topic of vaccines and helping them make choices that align with their belief systems and what they want for their families. From Gardasil to the Hepatitis B virus, parents all over the world are starting to question what these vaccines are doing to their children. While I won’t tell you what to do, I will offer what I know, have seen and how alternative options can offer you more information and a new way to look at vaccines that can offer options for a cure. This course is all about arming you with enough information so that you feel resourceful in choosing a path for your family, and know options if something occurs you weren't anticipating. This two week seminar is an introduction to the topic of vaccines from an alternative perspective. - Why alternative medicine – in particular homeopathy – views vaccines differently than allopathic medicine. - Why standard medicine sees things differently and why your doctors aren't trained to understand the differences from an alternative viewpoint. - How vaccines are seen to cause issues, and why not everyone reacts the same way. - Certain vaccines that are causing the highest level of caution for parents and why. - Certain excipients (other ingredients) in vaccines that are areas of concern. - Options if parents choose not to use vaccines. Join Jenifer Shapiro, Clinical Homeopath, Nutritional Counselor and Healer as we explore this important topic for your family’s wellness. We are taught so much in school about how to do things in the world, we are taught so little about what it means to be in relationships. Yet relationships are what give our lives meaning. Join me in this two week teleclass to explore healing boundaries, integrity and how we create relationships that endure with meaning and joy. Week One: explore how relationships are created, why people leave and stay in relationships, and begin a self-discovery of what makes relationships meaningful for you individually. Week Two: Further exploration of your personal map for creating and sustaining relationships, exploration of what healthy boundaries are for you now, and what they could be, and language that heals relationships and moves us forward in healing ourselves. The course cost is $110 beginning July 5th. As an intuitive all my life, I've always worked with guides, seen spirits and found myself offering guidance from other realms for clients and loved ones. For many years I've been asked to talk about my experiences and offer guidance on the path for new intuitives and those who want to understand the connections and experiences they are having. This course is sort of a primer course for understanding the layers of connections taught from a state of trance and a heart of power and love, with empowerment at it's core and this course will remind you why fear is the opposite of connection. Week 1: What are Spirits, Guides and other Connections. Week 2: What are the layers of energies, how do they connect us to one another and to our world. Week 3: How to look at intuition, feelings, experiences and connections from an integrative healing and empowering perspective without fear. This course will be taped as well, contact us for details. Also, for those interested in learning more, contact me about the mystery school starting in 2014. A certain level of personal work is required for the program. This course was taped and is available on CD. Contact us for information on purchasing the course on CD. See more on this course here. ENERGY MEDICINE COURSE, INNER MANIFESTING/VISION BOARDING COURSE, MYSTERY COURSE AND OTHERS BEGIN! We live in a time many are awakening to the realization that there are deeper meanings and connections in their lives than they had realized. From premonitory experiences we cannot explain, to times when we just know something we have no previous cognitive knowledge of, there are so many questions people have that need to be explored to get to the next level. I know that a part of my path is as an experiential teacher of the levels of existence. In this telecourse we will explore what intuitive is, messages and how we receive them and how to understand your unique gifts and how to interpret them. By splitting the course over two sessions, you will have time to explore your experiences and reconnect to discuss them in the second session. I see this course as the beginning of a longer conversation. This course will be driven by POSITIVE, EMPOWERING language and techniques, no fear-based topics will be discussed nor will we explore entities, attachments other realms, etc. which all can be misconstrued in negative frames when a solid basis is not offered. NOTE: If you are looking to explore fear-based topics or specific, fearful experiences you have had which have caused trauma, please contact us to schedule individual session time. As many in the class will be exploring intuitive for the first time in a group experience, I feel it most in integrity to hold a light-based space with clear and healthy boundaries where all students can explore their intuitive abilities in a supportive and empowering format. This is a course to tap into your intuitive self in empowering ways with a teacher who has led clients and students into their inner selves for over two decades. This course is now available on CD, contact us for details! Meditation is quite the buzzword nowadays. It seems everyone has a form of meditation to offer to quiet the mind. Quieting the mind is definitely one wonderful benefit of meditation, it's not the only one. In Yogic and Buddhist lineages, there is much more to meditation than quieting the mind. In this class through practices and the use of specially-designed energetic and sacred mantra combined with specialized meditation practices you will learn to shift energy and change your life while clarifying your insights, creating a greater sense of self and confidence in your daily life. In the time we live in with so much negativity and hostility, it's time we learned to use all of the tools available to clarify our fields and invigorate our bodies, minds and spirits with positive, supportive energy to heal ourselves and our world. This is why I created this class. 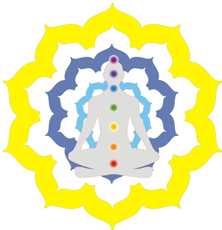 - Four types of meditation, how to practice them and when each is most useful. - How to effectively work with mantra meditations. - Four powerful mantras for release, renewal, protection and peace. - How to use a tantric heart meditation practice to release self-judgment and learn to love yourself. Join me as we explore a new level of meditation that goes beyond sitting and watching the breath to truly powerful integrative practices you can learn and use anywhere. Register here by March 21st and receive $30 discount. $65 by March 21st, $95 thereafter. This course will be available on CD, contact us for details! upcoming classes throughout the US and teleclasses.